Whether you enjoy participating in "recreational substances" where you live (hey, it's legal in many places, after all) or not, if you're checking out TGN, you're probably interested in games. So it's with that in mind that I tell you that BudLand has relaunched their Dealers card game over on Kickstarter. 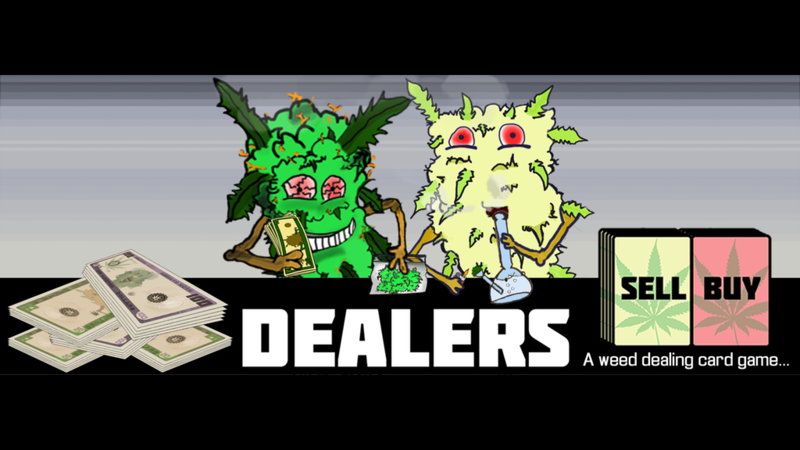 In Dealers, you play businesspeople engaged in the act of buying and selling different varieties of cannabis. You draw cards that you sell to your opponents, getting their money for the deals. However, you also have to pay off your suppliers. It's a fine balance between getting enough cash in, while still making sure you have product to sell. The last person with cash, and thus able to make a deal, is the winner. The campaign is up and running now and is set to go for another 29 days.